Mobile-First Indexing is really Entity-First Indexing: Organizing Google’s index of information around the Knowledge Graph. The obvious increase in Knowledge Graph-style assets in the mobile search results, which we are calling ‘Hosted Inclusions’ and ‘Fraggles’ are taking clicks away from traditional organic search results and keeping the user in the Google SERP longer, often without resulting in a click to a website at all. Only 38.5% of mobile searches actually end in a website click, and this should change how you are looking at the data in your analytics. Since more than half of the searches are mobile, and more those half of those searches are not landing on a website, good SEO’s have to start looking at the searches, and evaluating where and how searchers are engaging, and get their brands there. ‘Found on the Web,’ ‘People Also Ask’ and ‘Related Searches now include Featured Snippets and answers at the top, middle and bottom of the SERP. It seems that Google now wants to be an Answer Engine much more than a Search Engine, because the answers can be read in a voice result. Entity-First Indexing even allows Google to translate Knowledge Graph results to fit a user’s phone language or search language, even when the query is in a different language, which is also shown in this presentation. The easiest way to understanding Mobile-First Indexing is looking at real SERPs, but the hard part about that is not having historical records of what mobile search results used to look like. Once something new is added to a mobile SERP, SEO’s notice it, but have not way to go back and compare it to how the SERP looked before. To solve this problem, we have created a tool that helps SEO’s check their most important mobile queries on a weekly or monthly basis, and archive images of those results for comparison and measurement later. The MobileMoxie tools also allows SEO’s to easily test and compare mobile search results from a variety of locations or service areas, to help clients understand the impact that all of these changes have in different locations around the world. Case studies that show the value of this kind of information and how it can be used for clients are also included in this presentation. This webinar is one hour and 5 minutes. There were a couple times that I forgot to move the arrow off of the video of my face – sorry about that! I know it is distracting and I will try to remember not to do that next time! Soon, you will also be able to access the podcast version of this content, as part of our MobileMoxie podcast series, M4:MobileMoxie Marketing Musings – SEO & ASO Webinars, in iTunes or GooglePlay (coming soon!). Thanks to everyone who attended this presentation live in Portland at the Engage conference! Please note that we have updated the promo code to work for people who did not attend the conference. It is ‘WEBINAR003’ – The ‘001’ in the promo code is numeric – ‘zero, zero, three’. Mobile-First Indexing is more about Google organizing information around the Knowledge Graph, than it is about a mobile crawler. This presentation, originally given at the LocalU conference in Santa Monica, CA, reviews three case studies about how Mobile-First Indexing (we like to think of it as Entity-First Indexing) is impacting search results in different industries. It also reviews how the location of the searcher does and sometimes does not impact what is included in the mobile search result. We believe that the key to understanding Mobile-First Indexing is looking at real SERPs. Google is including more and more Hosted Inclusions in the results, making numeric rankings meaningless. These Hosted Inclusions are not just in Position-Zero, but are scattered throughout the result, often pushing organic results much lower, but also taking clicks from organic results, because they are more interactive, more engaging, and offer instant information. With this kind of thing happening more and more in search, an organic ranking position offers very little insight, if you don’t know what kinds of Hosted Inclusions are ranking above you or around you. The total run-time for this webinar is 53 minutes. There are a couple places where we edited, to cut some content for time – we did our best to make those smooth, but they are not perfect – sorry! Soon, you will also be able to access the podcast version of this content, as part of our MobileMoxie podcast series, M4:MobileMoxie Marketing Musings – SEO & ASO Webinars, in iTunes or GooglePlay (coming soon!). Thanks to everyone who attended this presentation live in Santa Monica! Please note that we have updated the promo code to work for people who did not attend the conference. It is ‘WEBINAR002’ – The ‘001’ in the promo code is numeric – ‘zero, zero, two’. One of the biggest problems with the current mobile search engine algorithm is that it has a difficulty understanding which page to rank when both a mobile and a traditional version of the page is available. If you leave it up to the search engines, even the mobile search engines tend to pick the traditional version of a page. This is because algorithmically, the traditional pages have more history and links than their newer mobile counterparts. To take advantage of the traditional page rankings, but still show the mobile pages to visitors, you can set up user-agent detection and redirection on your server. If user-agent detection and redirection is set up correctly, it will ensure that when the traditional pages out-rank the mobile pages in the search engines, users who click on those traditional results will be delivered seamlessly to the mobile page instead. If you have done that and have also done a good job on mobile file naming you can take this strategy to the next level with a strategic implementation of the canonical tag. Having a canonical strategy on your mobile site can actually help with traditional SEO as well. The basic idea is that – if you have user-agent detection and re-direction set up properly, there is no real need to push SEO value to the mobile pages on their own – at least for the majority of searches. While the mobile-specific pages will have a better chance of ranking well on feature phones, a vast majority of the mobile search traffic is from smart phones, which seem to favor the traditional pages. 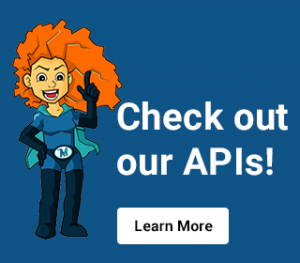 For this strategy, you actually add a canonical tag that references the traditional version of the same page into the header of the mobile page. This tells the search engine that the two pages are essentially the same, but that your preference is that they rank the traditional one. For this strategy, it is important to go page-to-page, rather than page-to-home-page. That means this strategy is best used when you have a one-to-one ratio of mobile pages to traditional pages, or when it is quite easy to match up mobile and traditional page urls. Without that, it can be a bit of a messy process. With this canonical strategy on your mobile site, you want the mobile pages to be optimal and indexiable, but you rely most heavily on the traditional pages for rankings. The canonical tag is just a suggestion, rather than a mandate, so if the search engines see value in keeping your mobile pages indexed separately, they will. Otherwise, the search engines will consolidate the SEO value of the mobile and traditional pages, which will be powerful in mobile AND traditional search results. Canonical tags are taken as a medium-strength suggestion. They are not a directive, but they can help pass any SEO value, links, relevance or history that the mobile page accumulates to its traditional counterpart, which is at a natural advantage anyway. Pushing the mobile SEO value to the traditional page should push SEO value for both smart phone mobile search results and traditional search results, because it will help consolidate the value of the two pages. This strategy is only ideal if you are in a situation where mobile pages are not ranking well or driving much traffic on their own, and you are targeting primarily a smart phone audience. If the rankings of your mobile content are already good, you are targeting a large portion of traffic from feature phones or if you are not confident in your user-agent detection, then this strategy should be approached very cautiously, or avoided. Since you are relying on the rankings of the traditional pages, the risk is that the canonical tag to the traditional page could hurt existing rankings of the mobile pages in searches on less sophisticated phones that would be able to display the traditional site at all, like in feature phones or WAP phones. Mobile communication has emerged as an important, if not vital, tool worldwide. Mobile content and communication is an important source of news and information. It develops communities and fosters communication. It can also be used to promote assimilation with a culture or ideal. Mobile phones are also effecting economies. The growth in online banking, online payment, and the benefits mobile marketing provides for small businesses are making a profound impact on the global economy. In terms of safety and security, mobile applications provide access to more information in a more timely manner than ever before. With weather alerts, crime alerts and drug verification, governments and the private sector are utilizing mobile platforms to keep the public more safe and informed. Mobile web browsing and applications also make limitless information and educational tools available at all times. As you can see, mobile phones and web browsing technologies have a major impact on the world we live in. Imagine what an effect mobile marketing can have on your business. Make sure you capitalize on the differences between mobile marketing and traditional marketing in order to ensure that this platform works for you at the top of its potential. Mobile technology is different than other technology when it comes to delivering marketing messages. It is the most personal marketing medium ever. The interactive and instant marketing possibilities are endless, so make sure you take advantage of those opportunities. Understand that the mobile Internet is even more interactive than the traditional web. It is a social tool and users expect immediacy when interacting with your brand on their mobile devices. So, what makes now the time to enter into the world of mobile marketing? There is mass evolution and dissemination of mobile technology, and the adoption rate is only growing. Flat-rate data plans are becoming the norm, so users will be accessing the mobile web, applications, and email boxes via mobile devices more than ever. Download speeds are increasing, leading to more widespread usage of smart phones and mobile web browsers. Mobile devices are getting better, faster, and more efficient. And finally, true web browsing is becoming more and more possible, beginning with the launch of the iPhone and continuing with many other mobile phone manufacturers. Now is the time to get into mobile marketing; master the medium before your competitors do and you will quickly become the one setting the standard and innovating in your industry. Learn more and view the charts and graphs on mobile marketing statistics by viewing the entire mobile stats slide show. Mobile ad spending is growing at breakneck speed. In 2009 approximately $416 million was spent on mobile paid advertising, and by 2014 a projected $2.55 billion will be spent in the same channel. Now is the time to educate yourself and start getting results with paid mobile marketing. Search display ads are growing, and by 2013 mobile search is projected to encompass 73% of the mobile ad market. The bottom line is, it’s time to get in the game. So, what is mobile PPC? Very similar to traditional PPC, mobile PPC (or Pay-Per-Click) ads display within the search results when a user searches for something on their mobile phone. They appear on both feature phones and smart phones when a user is searching via a mobile browser. Refer to the slide presentation to see visual examples of mobile PPC ads on different devices. Mobile devices are, obviously, much smaller than desktop and laptop computers, so the space for displayed ads is much more limited than what you see in traditional PPC. Consider this when building a mobile PPC campaign, and be sure to test it out on multiple devices. ο Select a geo-location where you want the ads to be served. This could be a country, a state, province, city, or a combination. ο Choose the networks where you want your ads to display. You will likely want to choose all mobile networks in your area. ο You can also choose what devices you want your ads to show on. If you know that your target demographic is mainly users of the iPhone, or if you are promoting an iPhone app, you can select to show ads only on iPhones. ο If you are a brick and mortar business, connect your ads to your Local Business Center account in Google places. ο Create your ad and use compelling calls to action. ο Refer to the slide show for more screen shots on setting up AdWords Mobile PPC ads. ο This is a great feature because it can be tracked. You can set up separate phone numbers for different ad campaigns and track incoming calls tied to each phone number. Also, AdWords will show your click thru rate (CTR) on click to calls. ο Also consider making click-to-call ads geo-specific. Tie a local number with local ad campaigns. ο Use ‘settings’ in AdWords to ensure your mobile listings are geo-specific. Mobile users want to find your location and your phone number when on the go, so make this information easy to access. Now that you’ve learned how to create mobile ads, you want to know how to make them a success. Here are some best practices to consider when creating your mobile ad campaigns. • Keyword building strategies: Keep the keywords short and more generic. There is less need for exact or phrase match. Keep in mind that the click-thru rate is often high, especially if you provide a unique mobile service. If your conversion rates aren’t as high as you hope, remember that people are still learning about your service. 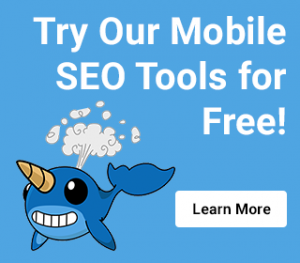 Do mobile-specific keyword research using the Mobile Moxie keyword tool. • After-the-click strategies: Make sure users find what they are looking for after they click your ad. Send them to a mobile-optimized landing page that is compatible with all devices you are serving ads to. Include mobile forms for email sign-up, SMS sign-up, or contact forms. Consider including mobile coupons, click to call opportunities, and click to download opportunities directly from the landing page. • After-the-click strategies for landing elsewhere: If you are driving traffic somewhere other than your website, say, to an app store to download your app, make sure to segment ads for specific devices. You don’t want to send iPhone users to the Android Marketplace or vice versa. Another good thing to know is that app downloads are heaviest on the weekends, so consider this when setting your click maximums on the weekends. If you are driving traffic to a Google Places page, make sure it is optimized for local visitors and includes all relevant information: map, address, phone number, and hours of operation. • Turn off current PPC ads to iPhones unless you are sending them to mobile pages. • Bid in position 1-4 or you won’t be seen. • Know that your quality score is more based on your CTR, so write compelling ad copy. • Finally, make sure your domain URLs inspire confidence, for example: www.yoursite.com/iPhone or www.yoursite.com/mobile. So, you’re getting more widely versed in Mobile Marketing. Maybe you have optimized your site, your email campaigns, or even created an app. What do you do next? If you are targeting a mobile audience, consider integrating mobile couponing, SMS (text messaging), and/or QR codes into your mobile marketing mix. These tactics are an excellent way to drive brand engagement, improve the ROI of your existing marketing campaigns, build your opt-in lists and actively remind customers of special events, sales, and deadlines. If these sound like good outcomes to you, read on to find out how to accomplish your goals with these exciting new marketing tools. The way mobile couponing/SMS marketing works is through an on or off-line prompt which engages customers to text a message to a short code or shortened phone number set up specifically for SMS, also known as a short code. More and more you will see prompts in places like malls, sporting events or TV commercials asking customers to text a message to a short code with the expectation of some outcome (a discount, entrance into a contest, weather updates, the list goes on). The user will then receive an opt-in message to their phone, and once they have opted-in you can deliver marketing to their devices at any time! Mobile coupons can also exist outside of SMS. They can be delivered to mobile devices through apps, in-store advertising, QR codes, BlueTooth or WiFi, or email marketing. Allow your mobile coupons to be redeemed both online and in-store. If you are using a bar code, only some can be scanned from a mobile device. Make sure to include a promotional code as well so that a customer can enter it during online purchase, or a store attendant can use it if the bar code won’t read. Segment your messaging and track different copy or calls-to-action by using separate bar codes and promo codes in each marketing channel. Link to or include all your typical coupon items such as images, expiration dates, and terms and conditions. Do some research to determine which is best for your needs. Also, make sure to familiarize yourself with the MMA guidelines for SMS marketing. Similar to CAN-SPAM, there are rules in place to regulate SMS marketing. Customers must double opt-in, there are special instructions for handling HELP and STOP text messages, and you must link users to your terms and conditions. You may have already seen QR codes but you didn’t know what they were. They are popping up all over the place. QR codes are square boxes with geometric patterns that can be recognized by mobile phones with cameras and appropriate software. They can be found anywhere from a cereal box to a billboard or t-shirt. The codes are free to generate, and once a mobile phone snaps a picture of one, they can generate any number of outcomes. They could open a link to an article, a coupon, an app download page, a map, you name it! They are quickly gaining in popularity due to their ease of use and the fun perceived in getting a surprise or immediate gain from a piece of advertising. 1. Always include an SMS prompt and a URL in case the QR code is not scanned properly. 2. Test the code on multiple phones. If the code only works with certain QR readers, include their logos near the code to clue in the users about which reader is needed to make it work. 3. Include visual instructions for how to use the QR code and what will happen. 4. If the code prompts a download, explain the cost and provide an opt-out opportunity. 5. Target people when they have extra time. Some good suggestions for placement are public transportation (where there is a good signal), in lines, in fitting rooms, in bathrooms, in eating establishments, or while reading newspapers or magazines. If you choose to integrate QR codes into your marketing, make sure to be creative. This is an exciting new marketing channel and new ideas are popping up daily. If you use more than one QR code in a single advertisement, make each one do something different. Consider the options available. They can send vCards, prompt events on mobile calendars, open a text conversation, open a web page, and much more. Not only are they versatile in where they can direct your audience, they can also be placed virtually anywhere. Keep your creative juices flowing when deciding how to present your QR code. It can be the back of your business card, it can be blown up to great proportions on a billboard, worn on an article of clothing, and much more. For many examples of SMS marketing and QR marketing campaigns, make sure to check out the entire slide deck for this presentation. While mobile marketing is definitely awesome, it isn’t always easy. Here we will discuss the most common hurdles in mobile marketing, and how to overcome them. For additional information on this topic, take a look at the Mobile Marketing Channel Hurdles slide show, presented in Sydney in April, 2011. When embarking into the realm of mobile marketing you must make sure to be flexible. Make sure you plan from the beginning to measure and test your results. Don’t start a campaign only to realize later that you have no idea if it was money well spent. Always pay attention to trends in technology and mobile platforms to suit your campaign accordingly. Think out of the box! This is an exciting and diverse marketplace, so don’t be afraid to do your own thing. You may be asking, “What makes mobile marketing so hard?” There are several variables that contribute to the complexity and difficulty of mobile marketing. These variables make it hard to predict how the campaign/app/website/etc. will work. Some of the variables that may be at play include: infrastructure, web rendering, screen sizes, browsers, changing screen orientation, input mechanisms, operating systems, load speed, data charges, regional expectations, user expectations, and the ability to track success. • There are many different operating systems, which makes doing thorough and complete testing extremely difficult, if not impossible. Try researching the most common operating systems for your demographic, and test only the most prevalent. You can do greater testing and analysis as you determine a need for it. That is, if users of your app or site frequently complain, determine if their complaints are common to a particular operating system, and address it appropriately. • Make sure you consider the different screen sizes where your web page, app, or campaign will be rendered. There are many different screen and rendering sizes, so research your demographic to hone in on what type of phone they will be using and the sizes that will work best on those phones. • Consider the possibility of changing orientations. Some phones will display in portrait or landscape mode, depending on how the user holds the phone. Test that your page functions and looks good in both modes. • Think of the different input mechanisms for various mobile phones. Input mechanisms are the way the user interacts with a web page, application or primary phone functionality. Input mechanisms include: number selection, scroll wheels, thumb scrolling, roller-mouses, use of a stylus and full touch screens. Try your app or web page with various input mechanisms to test usability. • Not only are there many different operating systems, there are also many different web browsers to contend with. On top of that, different phones load data at varying speeds. Make sure your app isn’t too code heavy and test it on several browsers and phones at different signal strengths. • Bear in mind that there is always an opportunity for bad connections and wimpy signals. While mobile phones go everywhere with their users, they may not always have perfect access to your applications. • Don’t forget that data charges are different in different markets and for different populations. Consider whether your target demographic will have unlimited data, and let that help drive your mobile marketing choices. ο In Japan, users view mobile phones as separate and different from home computers. It is rude to talk on the phone in public, so they prefer text. ο In the USA, many people are charged for incoming text messages. ο In Brazil, India, Russia and China ‘feature phones’ are still prominent. These are not smart phones, as they have limited access to the web and may include specific features or apps, like cameras or games. ο In developing countries mobile phones are often a user’s only access to computer functionality, the phone, the Internet, videos and TV. ο In developed countries mobile phones are supplemental access to computer features, the phone, the Internet, videos and TV. Now that you have learned the many hurdles of mobile marketing you should have realistic expectations for entering this burgeoning field. Don’t be daunted! Mobile marketing can be an exciting, engaging, and effective part of your marketing strategy. In this presentation we explore the state of mobile marketing, take a deeper look into the Australian and South Pacific mobile marketing stats, and discuss important topics from 2011. Take a look at the slide show presentation after you read through this post. It wonï¿½t come as a surprise that the number of mobile phone accounts has increased at a startling pace over the past 10 years. At the end of 2010 there were approximately 5 billion mobile phone accounts worldwide, while in 2000 there were only around 1 billion accounts. Growth in mobile phone usage is worldwide; it is being adopted and expanding rapidly on every continent. And people arenï¿½t just using their mobile phones to talk. Over the past four years, the use of mobile phones for email, texting, streaming audio, social networking, instant messaging, audio playback, gaming, streaming the Internet, and Tweeting has steadily increased. It is apparent that across the globe, mobile phones continue to become an integral part of any savvy marketing strategy. 6. 64% of mobile advertising worldwide will be purchased in APAC! 1. Nearly half of all Australian mobile phone users now have an Internet-capable phone! To stay relevant with your marketing message, you must evolve and take hold of new trends. Mobile marketing is changing at breakneck speeds. Here are some of the major trends and topics from 2011 to pay attention to; you donï¿½t want to get left behind. 1. QR Codes: These are the black and white, square bar codes popping up everywhere – on cereal boxes, posters, bus stops, etc. Mobile phone users can snap a picture of a QR code, and it will send them to any number of destinations. It can load a web page, a map, or even prompt a download onto their phones. They are free to create and the possibilities for creative applications are endless. 2. Social Sites on Mobile Phones: Facebook has over 600 million users and more than ? of them access the social network on their mobile phones. Twitter has over 165 million users and over 50% of them use Twitter on their mobile devices. 200+ million YouTube videos are shown on mobile devices every day. If these numbers donï¿½t convince you to integrate your social and mobile marketing strategies, nothing will. 3. Harness local features and local search: One half of all local searches are performed on mobile phones. It just makes sense. When youï¿½re on the go and need to find a store, service, or restaurant, you turn to your phone. The number one access point for local information is the mobile browser, with 20.7 million users per month. 4. Local-Social Applications: Local review and check-in sites are on the rise. People use their phones to check in to shops, malls, parks, restaurants and more. Make sure you have a Google places listing and are present on sites like Yelp, Foursquare and Gowalla if you have a brick and mortar business. Customers will be able to tell the world they are there, and provide valuable reviews that can really spur business. Also, include your address in an hCard microformat on the website. 5. Mobile Cloud Computing: The use of mobile cloud computing continues to grow. This means that people can and will become more and more independent from their computers and more dependent on their phones for everything. Keep an eye on this growing trend. 6. Mobile Video Viewing: The increase in viewing of YouTube videos on mobile devices increased 3x in 2010 to 200+ million views per day! This creates an immense possibility for engaging your audience, prompting embeds on social sites, and harnessing YouTube ad placements. Do not overlook this bursting and engaging marketplace! So, you’re thinking of creating a mobile website. Good idea! Before you get started, learn these 16 mistakes to avoid and you will save yourself from a lot of wasted time and effort. 2. Avoid changing the major elements of your website. Do your best to maintain the primary navigation structure, colors and imagery that are used on your conventional website. People who wish to visit your site from their mobile phones are likely current visitors or customers who are familiar with the conventional site’s content. Keep the look and feel consistent, and make sure to make your most visited content readily available on your mobile site. If there are major sections of your site that you cannot convert to a mobile environment, acknowledge it upfront. Your visitors will not appreciate the wasted time and frustration of searching all around for content that doesn’t exist. 4. It isn’t necessary to cram everything onto one page. Taking all of the content from a page and squeezing it into a long, skinny bar will not make for an enjoyable user experience. Pick the best and most used parts of your content and only display those on your mobile pages. Packing everything into one page can also slow down your load times. Try for a single column mobile strategy and never try to cram things into more than two columns. Sideways scrolling is no fun on a mobile device. 5. Don’t leave out the site search function. Put it front and center, right at the top of the page. If any of your site elements aren’t working properly, especially the navigation, this will be a life saver for your visitors. Site search is generally even faster than drop down navigation for some mobile phone users. 6. Test for and remove broken images. In some cases mobile users will turn off images to save on data charges and in other cases carriers or browsers will block some images by file size or file type. Also, with the many different mobile browsers it is difficult to test your image compatibility with every single phone. They could be stacked, re-sized, or not loaded at all. Avoid creating a mobile site full of broken images. Don’t put text that is necessary for understanding how to use and navigate the site into an image. If they are broken, your visitors will be left in the dark. 9. Don’t forget about mobile friendly features. These features are what make the mobile web so cool! Link all phone numbers to make it easier for visitors to call you in just a click. Include store finders, links to maps and directions that interact with phone features and apps and include mobile coupons and incentives whenever possible. Include your hours of operation – a person on the go wants to be sure you’re open. 10. Online and mobile synergy must be considered. Do not forget to use user agent detection for both mobile to traditional formatting and traditional to mobile formatting. This is not a tip for just the home page – do it for all pages of your site! Make sure to include a link in the upper left hand corner of your site with text that says ‘mobile.’ Promote your mobile site on your desktop site with screen shots and feature lists. 11. Do not leave offline mobile synergy out of your strategy. Promote your mobile content in traditional media, including TV, radio and in-store advertising. Use an SMS campaign to promote your mobile site and include links to the site in all your offline messaging. Use image recognition bar scanners to drive visitors to your mobile site. 12. Avoid trusting a mobile platform with your SEO. Search Engine Optimization is important, and most automated mobilization platforms do a bad job of it. Remember that most web endeavors start with a search; don’t leave your visibility up to a platform that likely uses dynamic or temporary file names, omits meta data, uses a different domain, creates bad internal links, etc. If you do decide to move forward with an automated mobilization platform, request things like permanent filenames and customizable meta data. 13. Don’t ignore local-mobile search. Submit your site and your business to local search engines. Include your address and phone number, pictures, reviews and star rankings, and directions. Submit your site to local search Apps in the App Store. Including your GPS coordinates in an hCard microformat can also be helpful for location based search. 14. Do not forget to integrate with social media. ‘Social’ is what people do on their phones! Include promotions and links to your mobile website from your Facebook page and status updates. Link to mobile versions of your pages on Twitter and Tweet promotion codes and SMS contests. If you have apps, put QR codes on your Facebook page to the app download page. 15. Do not forget to integrate mobile strategy with email strategy. This is not as hard as it sounds. Collect phone numbers and email addresses as part of your acquisition strategy. And don’t worry, you don’t have to abandon HTML emails – you can optimize them to render nicely on mobile phones using fluid design and a single column strategy. You will be reaching your most loyal customers wherever they happen to be! 16. Your apps won’t market themselves! So don’t assume they will. App marketplaces are search engines, so optimize for them. Your app can also rank directly in Google. Learn more about promoting your apps through SEO in this post on Mobile App Store SEO. In this presentation we explore the tactics you can use to optimize your mobile phone applications for the search engines. Make sure to look at the AppStore SEO slide deck to see the graphs and visually represented data as you read along. The decision to create a mobile phone app in this bustling marketplace may not have been a difficult one to make, but figuring out how to get the word out and get your app found in the marketplace may prove a bit more challenging. There are now several app stores for many different types of phones, and each of those stores has different features that you must consider when optimizing your listing. The Apple AppStore is no longer the only contender – don’t forget about the Android Marketplace, the Amazon AppStore, Nokia Ovi and BlackBerry AppWorld. There are also various smaller app marketplaces and app aggregators to explore if you have the resources. If you do have apps in multiple marketplaces, you want to optimize for each of them and, if possible, track them separately. The projected market share for application marketplaces in 2011 has the Apple AppStore taking the majority of downloads, at 50%. Nokia Ovi is expected to comprise 20% of downloads, BlackBerry AppWorld comes in at 10%, and all others are expected to fill in the final 20%. The ‘others’ category would include WinMo, Palm, etc. No matter how you paint the picture, the demand for apps is rising as more and more people purchase smart phones with application compatibility. First things first. You must make a good application! It doesn’t matter how great your SEO is if people are just going to delete your app. Once you’ve built a great application, start by optimizing the app name and description for the store. While it may be tempting to choose a quirky name or a play on words, don’t do it. Use words that describe exactly what your application does. This simple advice will go far! Next, make sure to categorize your application correctly. If you have built a reference tool for bird watchers, do not file it under games. Make sure to choose relevant categories and sub-categories. This will give you more exposure to the audience who is looking for your service. Finally, don’t forget about your other traffic driving entities. Link to your application from your website and promote it to visitors. Purchase PPC ads, both mobile and conventional. Reach out to bloggers and media sources who are interested in your content area. Use social media and email advertising to drive interest and desire for your application. Using the infrastructure you already have will go a long way. If you have an email list of 10,000 people, or a Facebook page with 750 ‘likes’ you certainly want to leverage those resources to get the word out about your application. • Choosing a good name: Include keywords and brand names in the name of your application. Do not use any special characters, symbols, especially trademark or copywrite. Also, avoid little known acronyms or specialized vocabulary. Remember that the title of your app will be ported everywhere! In many cases, it will be used in the URL, title tag, description tag, alt tags and heading tags. • Choose a good price: The two most highly searched terms in the AppStore are ‘cheap’ and ‘free.’ Make sure you always offer a free LITE version of your app. Make sure to say that your paid or full version is ‘cheap’ in the description. Also make sure to include both of these words in the keywords or title – not just in the description! Do research and find out how many cheap and free apps are in your category to get a better understanding of the marketplace. In some cases you may have significantly less competition in on group or the other. • Categorize your app appropriately: Think about the application from a user perspective. Do research on the different categories where your app may belong. Choose the category with the least competition that is still relevant, and make sure you are also ‘keyword competitive’ by checking out the keyword strategies of your competition. For graphs, charts and a few bonus tips about phone app SEO, make sure to view the AppStore SEO slide deck!